When Keaton was asked to do Batman, he thought it would be a camp version similar to the '60s tv show. 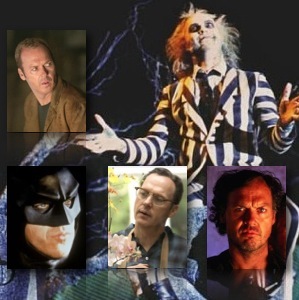 After all, why would Tim Burton cast him, both he and the rest of the world, particularly comic fans, wondered. 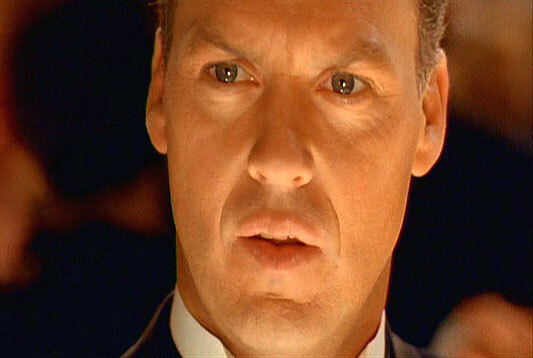 Somehow all those strange quirks, psychoses, and deep-seated anger that is Bruce Wayne were putty in Keaton's hands. 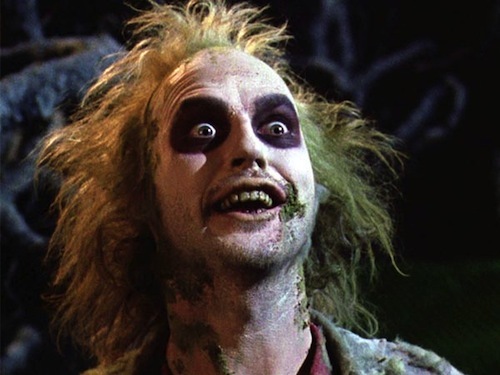 Likewise, one of the great comic caricatures of all time, Beetlejuice was the same character (okay, a slight exaggeration) in comic form. Not so much the silly mixed-up sheriff, but the method of getting there. In the strict construction of his works, Shakespeare left room for improv of sorts in his base players. Thankfully taking them off rhyme and meter, he let vagabonds be vagabonds. So, the best could improvise, creating characters that would stand apart from the play in more ways than one. This is Keaton in Much Ado, where maybe technique, intelligence, and comic timing come through in equal measures to the scene itself. As with his two best films, Keaton plays best at two extremes. On the crazy end are the comic roles that demand a physical eccentricity, with never before seen moves and spasms. On the crazier end are the psychotic roles such as Pacific Heights and even Clean and Sober. Great mastery of both facial and physical quirks. Works the eyebrows and the intense eyes for psychotic effect. Pulls them back for the clueless look, with a great slack jaw and pursed lips. Quick jerks of the head, often combined with a jerky dialogue. Jerks his whole body around similarly. Talking fast with his lips barely moving.